HomePreventionBefore You Go OutdoorsHow Big (or Small) are Ticks? One reason that these stages are important is because each stage is a different size and, possibly, even a different color from the other stages. 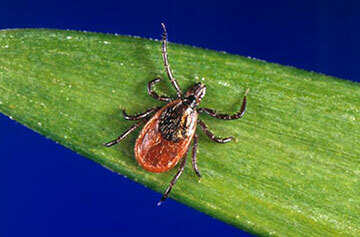 And, even in the adult stage, female ticks are usually significantly bigger than their male counterparts. 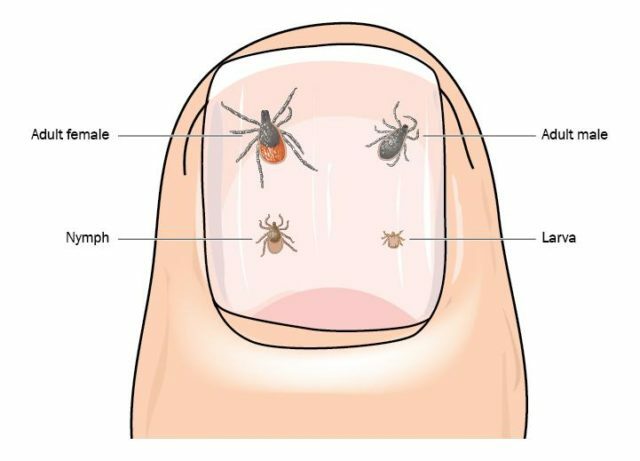 The smallest species of the three we are focusing on, the blacklegged tick (also known as Ixodes scapularis or Ixodes dammini), is the primary carrier of Lyme disease, as well as human anaplasmosis, babesiosis, and Powassan virus. Of these, the nymphal stage tick is the most dangerous to humans, because its small size (roughly that of a poppy seed) means that humans rarely detect it until it has attached and engorged, and thus, already likely transmitted Lyme or another disease to the human host. 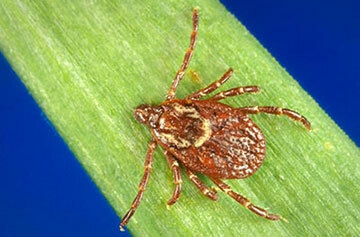 The lone star tick is the second most commonly encountered tick by humans, coming in right behind the dog tick. Lone star ticks have been linked to tick paralysis (adult female), Rocky Mountain spotted fever, ehrlichiosis, Southern tick-associated rash illness (STARI), and alpha-gal allergy (allergic reaction to mammal products). The medium-sized species of the three we are focusing on, the lone star tick is closer in size to the dog tick than the blacklegged tick. And, similar to the others, the adult female is the largest of all of the developmental stages. The species gets its name from the pearl-colored, vaguely star-shaped marking on her back. Otherwise, the adult female is a red-brown color and has longer mouthparts than the male – which are barbed and penetrate deeply into the skin of the host. Adult males of the species have a generally darker appearance than the adult females – a mixture of red-brown with the occasional black patches. Larval and nymphal lone star ticks are typically lighter in color than the adults, with the larvae being the lightest of the stages, while the nymph’s color darkens as it develops. The American dog tick can be found in every county in Indiana – which is partly what makes it the most tick that is most commonly found on humans and dogs in the state. It is also found most often because it is larger than the other two types of ticks we are looking at – nearly twice the size of the blacklegged tick! Like the lone star tick, the American dog tick (especially the adult female) has been linked with tick paralysis and Rocky Mountain spotted fever, as well as tularemia, and anaplasmosis. 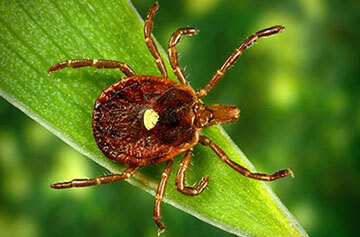 And, researchers are still looking for a possible link between this species and the transmission of Lyme disease. The adult American dog tick has a cream/gray and brown body – the males with a pattern, the females with a simpler, two-tone appearance – while the larva and nymph ticks are typically all brown. The mouthparts for American dog ticks are typically short at all stages of development.